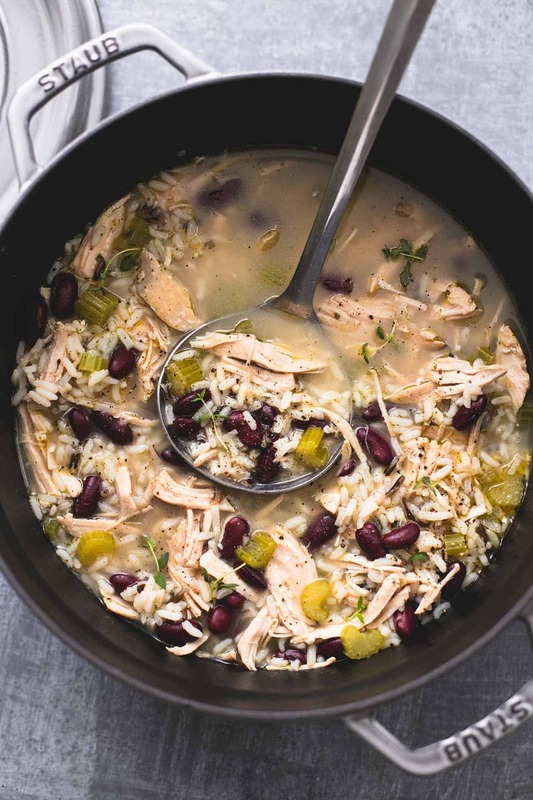 You’ll love how easy it is to use leftover Thanksgiving turkey to whip up a 30 minute meal of healthy turkey wild rice soup. I’m a little perplexed at this November’s weather. I kept meaning to book family pictures for sometime in October when the twins turned one, feeling like our gallery wall needed an update since so much has obviously changed between the time we had our last photos taken with our little sleepy 5-day-old babes and now with our rambunctious, running, climbing, goofy little Crazies. I really thought I was on the ball, but then we had the move, and some travel, and next thing I knew the photographer was booked til November. I snatched up the last date she had but kept thinking mayyyybe I should have waited til Spring when we wouldn’t have to wear puffy ski jackets and could instead wear pinterest-worthy coordinating outfits. Novembers around here, they’re ordinarily very very chilly. More often than not we have snow on the ground by Halloween, so you can imagine how shocked I was when my light cardigan was actually enough to make me sweat during family photos this week. Daylight savings is as dreadful as ever but I can definitely deal with November that offers weather in the mid-60’s. No idea where it’s coming from but I’ll take it. Gladly. All that being said, I haven’t really taken advantage of the season and made soups galore like I normally do. Usually we are an every other day sort of schedule with soups this time of year but it’s been more like once a week and even though I am loving this warmer late-Fall weather, I miss my soups. This turkey and wild rice soup had to happen after some recipe testing left me with an overabundance of leftover shredded turkey. It’s easy, healthy, positively scrumptious, and the perfect way to use up Thanksgiving turkey leftovers! 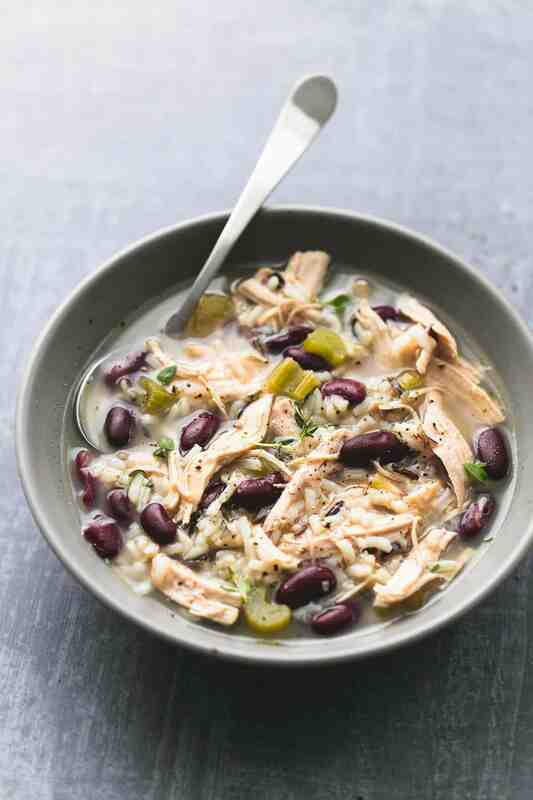 Regardless of the what the weather is doing outside, this healthy turkey wild rice soup will make your heart very very happy. 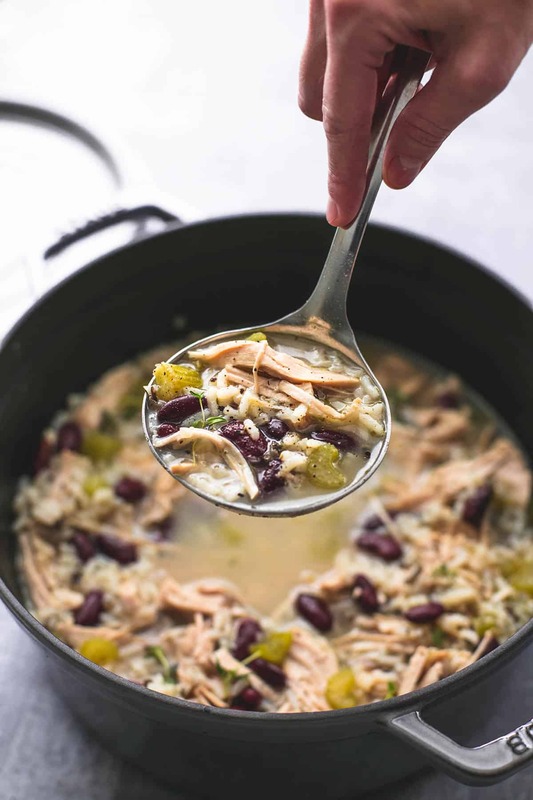 You'll love how easy it is to use leftover Thanksgiving turkey to whip up a 30 minute meal of healthy turkey wild rice soup. 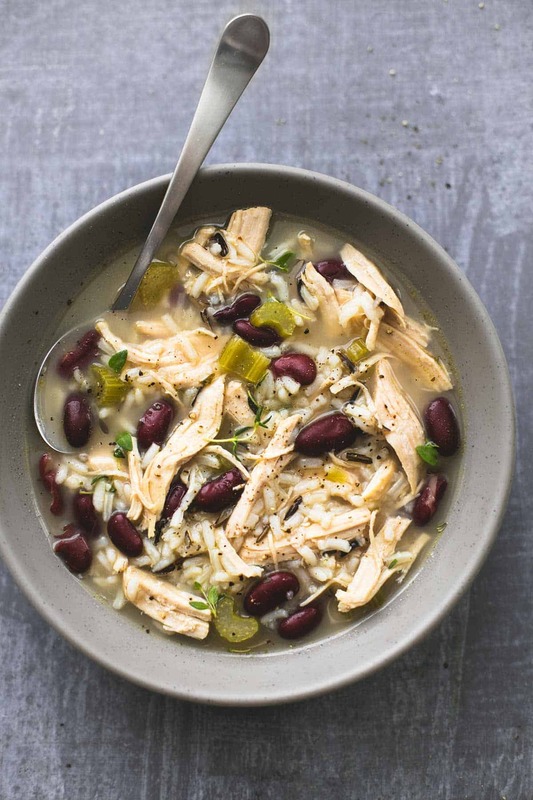 In a large stock pot combine chicken broth, Italian seasoning, garlic powder, celery, kidney beans, and wild rice. Bring to a boil over medium-high heat, then reduce to a simmer. Cover and cook 15-20 minutes until rice is tender and fully cooked. Cook about 5 minutes longer until turkey is hot throughout. Taste, add more salt and pepper if needed, and garnish with fresh herbs if desired before serving. Try these other Turkey Leftover Ideas you'll love! What brand of wild rice are you using? I have never seen white wild rice. hey girl this looks so yummy! I bet your twins ares getting so big! Love to see pics! I love a good turkey soup using the carcass after Thanksgiving. Your recipe makes it easy to make even without the carcass. One question thought: The wild rice I get does not cook in 15 to 20 minutes. Are you referring to a par cooked version of the wild rice? Exactly what I was looking for today – simple, healthy and tasty comfort food. Thank you for sharing, I look forward to having this soup tonight!